Reach for new horizons, to beyond where we are now, and what we know. 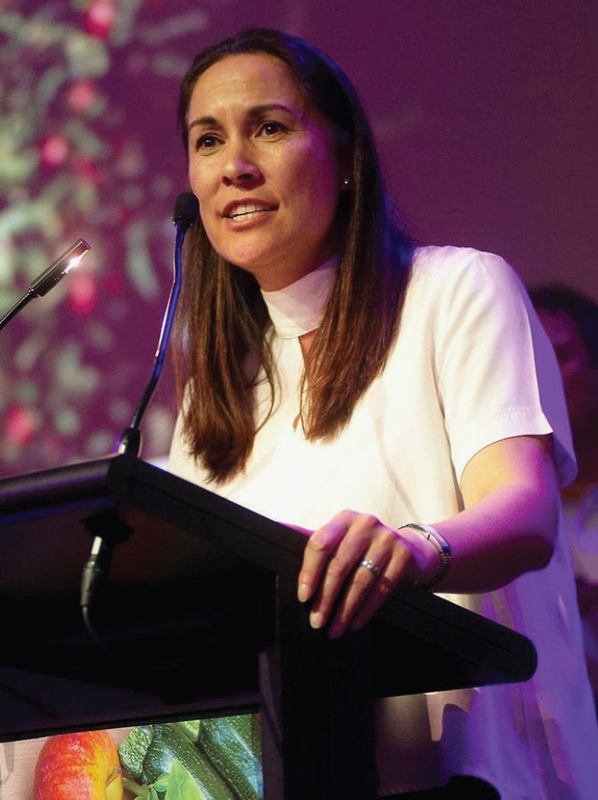 It gives me great pleasure to present our annual report for the year ending 30 June 2018, a year where we as an iwi celebrated some significant milestones and achievements. We continued to make steady and assured progress in our development and in the review and refinement of our operations, while continuing to grow our pūtea. I am honoured to report a total net profit from our commercial activities of $150m for the financial year, which resulted in a $61m distribution toTe Rūnanga. 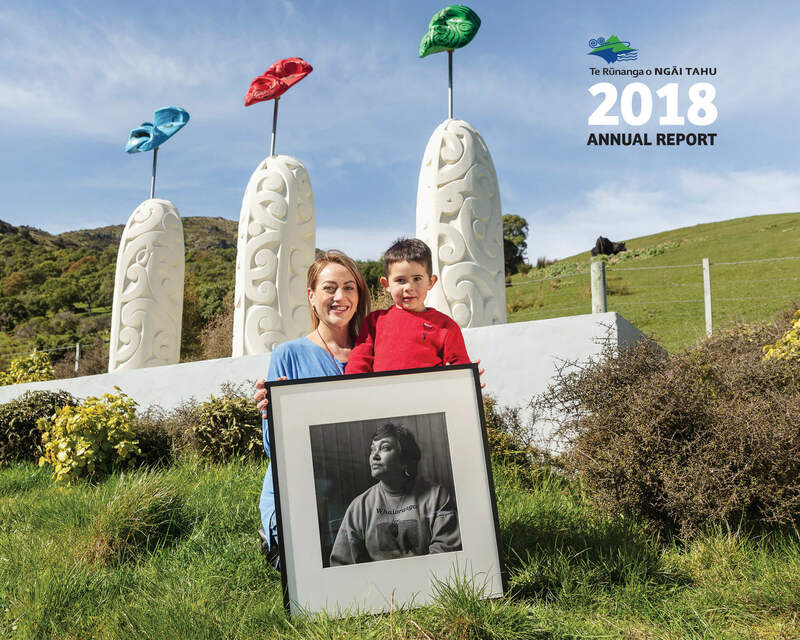 Throughout this report we feature some key highlights of the work that has been done to support the cultural, social, environmental and economic sustainability of this, and future, generations of Ngāi Tahu whānui. It is hard to believe that an entire year has passed since I was elected as Kaiwhakahaere of Te Rūnanga o Ngāi Tahu – a position I remain immensely humbled and proud to hold. Over the past 12 months I have challenged myself and Te Rūnanga to consider how we can better perform our duties as tribal leaders and engage with our whānau. As you will see throughout this report, sustainability features strongly, as does nurturing and growing key relationships especially those who share our passion for enhancing the opportunities and potential for our people and our rohe. Te Rūnanga has given clear direction to our subsidiaries that their operations must consider the environment and future generations. The Office of Te Rūnanga is determined to lead the way on this kaupapa, which is why Te Rūnanga o Ngāi Tahu has developed a climate change strategy – He Rautaki mō te Huringa Āhua o te Rangi. The strategy acknowledges the challenges we face today, but looks forward to the creation of a legacy that future generations of Ngāi Tahu will be proud of. I am confident that our leadership in this area will help shape our iwi development. A common theme has emerged when meeting with whānau over the past year – freshwater. Te Rūnanga understands the importance of protecting our awa, and I have put together a Kaiwhakahaere advisory group specifically for freshwater management. This group will be working hard to protect our rights and interests as this is crucial to our development, and ensuring that the hard work of those who fought for Te Kerēme does not fall by the wayside. 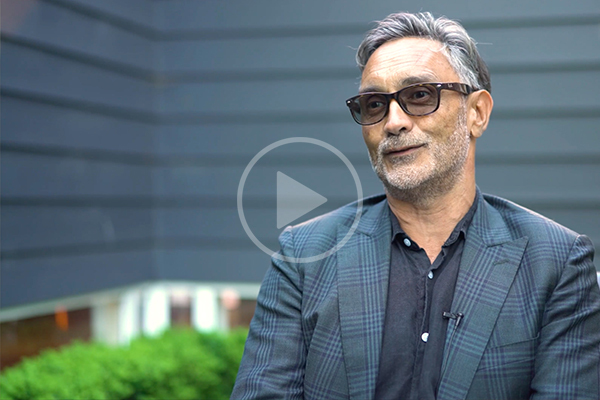 I want to take this opportunity to acknowledge Trevor Burt, whose steady hand as the Chair of Ngāi Tahu Holdings Group over the last decade has helped steer us to success. Trevor announced his retirement last year, and we thank him once again for his astute financial leadership over the years. It is a hard act to follow, but I am confident that our new Chair Mark Tume will rise to the challenge and bring his own flair to the role. decision-making in all that we do. Finally, I want to close by sending my aroha and acknowledgement to Ngāi Tahu whānui across the world. Our people are at the heart of everything we do, and the work laid out in this annual report is for you, today and in the future. 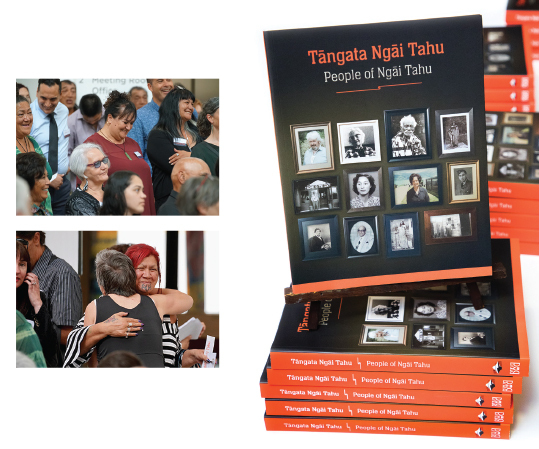 He Whirika Takata – Engaging with our people is the theme of this year’s annual report and as I reflect on the past 12 months and what this looks like in tangible terms, I am excited by the multitude of ways in which we are engaging with whānau both in and outside the takiwā, from kaumātua to pēpi. The digital age has created a whole new platform of ways we can connect with whānau globally, while locally we remain focused on the events and forums that bring our people together on shared kaupapa. 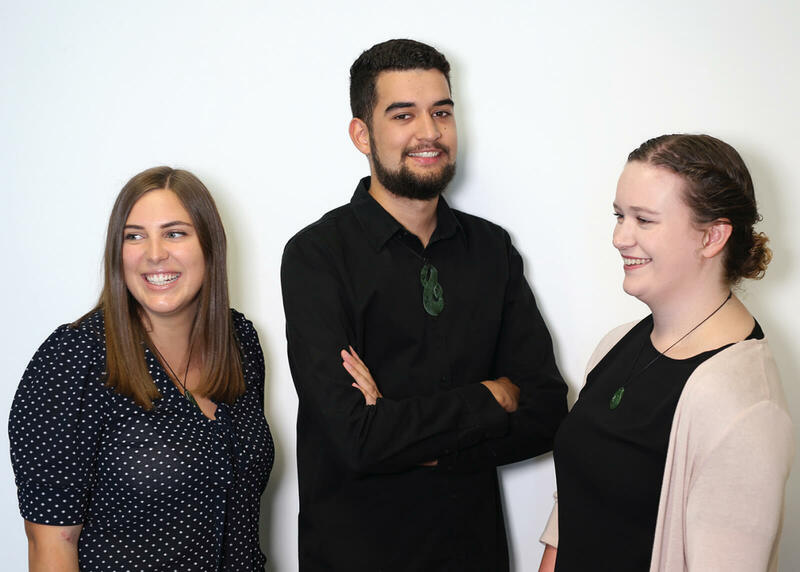 With nearly 40% of our tribal members under the age of 25, we are continually exploring opportunities for rangatahi participation across the organisation as we look to create the next generation of tribal leadership – who bring with them a global perspective and a future focus in their thinking. It has been heartening to see the rapidly growing rangatahi interest and engagement in the programmes we are offering: Te Pōkai Ao, Te Ara Whakatipu and Manawa Hou among others. Rautahi Rakatahi is a working party that has been formed to guide the development of an overarching rangatahi strategy to ensure alignment of activities and greater opportunities for our young people. As Papatipu Rūnanga start to build their own tribal economy and cultural sustainability we need to be attracting our youth into both learning and leadership roles back in the regions. Regional rangatiratanga needs input across all our generations and the Office of Te Rūnanga will continue to support development to make this happen. 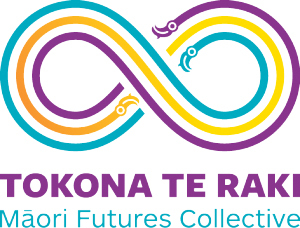 Tokona Te Pō Kia Tokona Te Ao is an initiative focused on creating opportunities for growing tribal economies within our whānau and communities that enable them to advance their own business and wellbeing goals specific to their geographical context. The scope of mahi in this area is broad, from the development of ideas to research and technology, marketing and promotion and expansion of businesses to the next level of success. To date $463,000 has been invested in supporting 90 start-up businesses with 63 of those now operational. While we concentrate on the home fires and regional development, we must also acknowledge the growing needs of whānau living outside the takiwā. We have seen rapid growth in participation at the road shows each year and with this comes the responsibility of continually finding new and meaningful ways to engage with whānau wherever they live. Suffice to say, connecting and engaging is not a one size fits all approach. With over 60,000 members spread around the globe, each with their own sense of connection, our approach must reflect this diversity. In recent years we have also been working on ways to strengthen our staff culture and workplace. Recently we completed our third independent Whatumanawa staff satisfaction survey. This year we reached the Aon top quartile for staff satisfaction (across New Zealand and Australia) with 68%. We are delighted by this positive shift and to note that staff concerns are now focused on technical aspects of the organisation rather than on diversity and inclusion. None of what we do would be possible if it were not for the commitment and passion of our many kaimahi who work tirelessly, and, often at the sacrifice of time with whānau, to deliver the programmes and activities that support the fulfilment of our vision – my heartfelt thanks to you all across the organisation. I also wish to acknowledge all those out in our communities, mostly working in a volunteer capacity, who work so hard to ensure a vibrant future for our iwi – mō tātou, ā, mō kā uri ā muri ake nei. When reflecting on the year in review, it can be best described as one of adjustment to our ‘new normal’ as we begin the next phase of our journey. We are pleased to report a positive year end result with net operating surplus of $47.8m and total net profit of $150m. A Relativity settlement of $198.9m received last year has strengthened the balance sheet. We continue to strive to make our commitment to kaitiakitanga real and have signed up with 60 other New Zealand business leaders to form the Climate Leaders Coalition. Coalition members have committed to measuring and reporting their greenhouse gas emissions, setting reduction targets and working with suppliers to reduce emissions. Across our businesses we are working hard on this kaupapa and recently produced our second carbon emissions report. The Values in Action framework has laid the foundation for how we go about our business and is gaining momentum across the Group. Our businesses have developed their own values strategies by embedding cultural aspects into their operations. 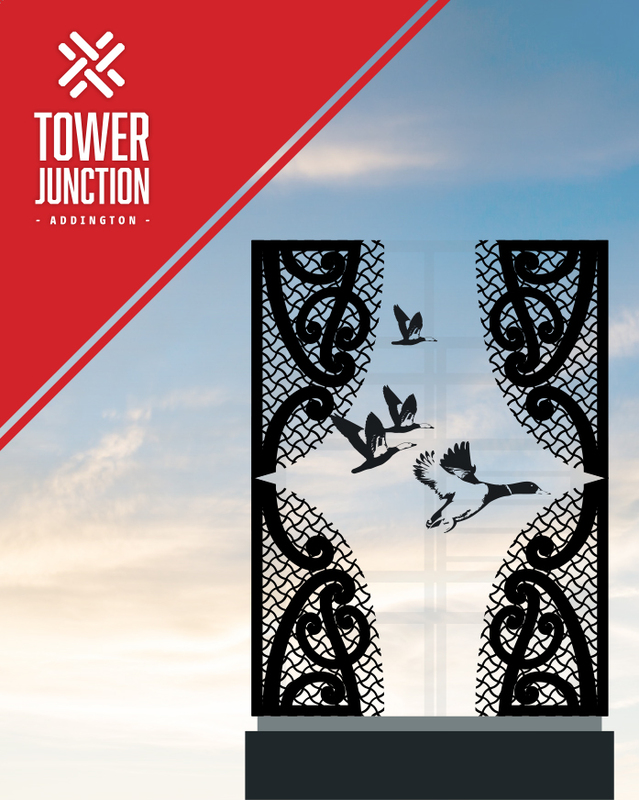 The Tower Junction redevelopment is a great example with native plantings, te reo and artwork as visual markers of its Ngāi Tahu ownership. We are focused on improving our engagement with Papatipu Rūnanga across our businesses. We encourage whānau to visit our redeveloped Ngāi Tahu Holdings website (www.ngaitahuholdings.co.nz), which will be regularly updated with engaging content showcasing what our businesses do, and how they are operating in line with our values. The year has not been without its challenges with another tough year for Watson & Son. We now own 100% of the honey business while the founding partner has resumed full ownership of MānukaMed. We have restructured the company and established a new management team. 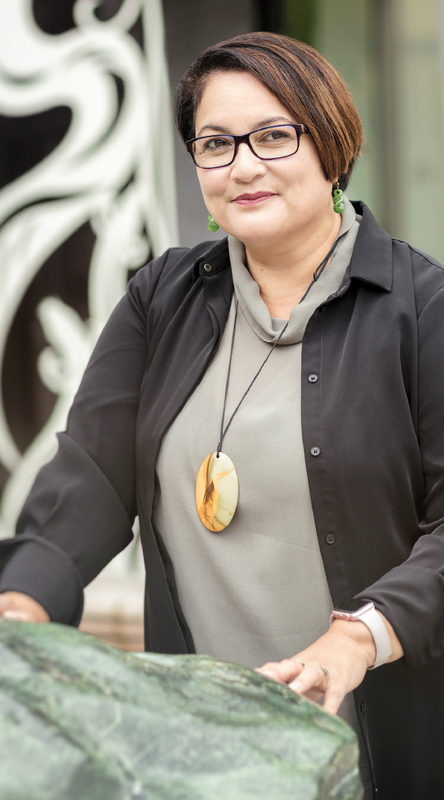 Nadine Tunley (Ngāi Tahu – Ngāti Wheke, Ngāti Waewae) has been appointed as the CEO. 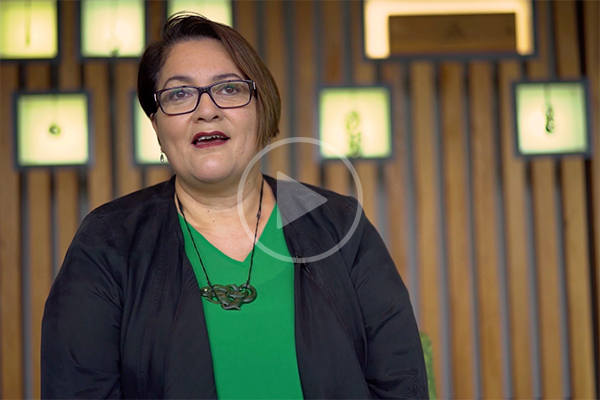 Nadine was one of the first participants in our Manawa Nui associate director programme – designed to grow Ngāi Tahu leadership capability – and is testament to its value. We are optimistic about the future of the business. We are mindful of our responsibilities as kaitiaki of the pūtea – being the best we can be on behalf of the iwi. 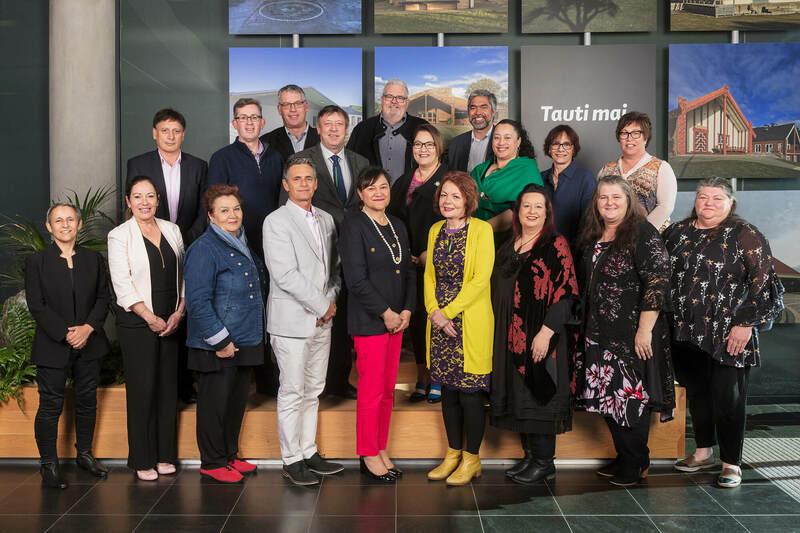 We are piloting the Ngāi Tahu Executive Leadership Programme in partnership with Victoria University and the prestigous Melbourne Business School. This bespoke programme blends our values and cultural dimensions with the best of leadership practice. 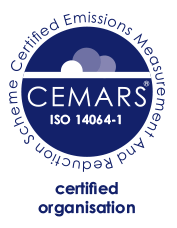 We have conducted a formal board review across the Group, using Propero to measure against the core competencies and have appointed KPMG as our new internal auditors with a view to improving our risk management practices. With the outlook for economic growth slowing, high asset prices and lowering business confidence we are preparing for headwinds on the horizon. Across the Group the future will be driven by ensuring that we are focused on operational excellence and getting the best cash returns from our existing portfolio, while not losing sight of potential opportunities that fit with our investment portfolio. Haea te Awa begins a new phase in the development of our organisation. We will revisit our investment strategy to ensure it is aligned with achieving the expectations of the iwi. In closing, we wish to acknowledge our retiring Chair, Trevor Burt who stepped down in August after nine years at the helm. With Trevor’s guidance and strategic oversight Ngāi Tahu Holdings has enjoyed an extended period of exceptional growth and outstanding returns, e te kanohi kai nukere, nāia mātou e mihi nei ki a koe. And to our staff and governors across the Group we appreciate the professionalism and expertise you bring to your roles that contributes to our ongoing success. With the exclusion of a poor performance for Watson & Son, it has been a solid year for Ngāi Tahu Capital, with strong returns from Ryman Healthcare, joint venture Go Bus increasing its market share, and a clear strategic direction set for our joint venture Hilton Haulage. While dairy returns have stabilised, Ngāi Tahu Farming is still to optimise its dairy and beef operations and this is reflected in their results, ending the year with a net operating surplus of $4.56m. 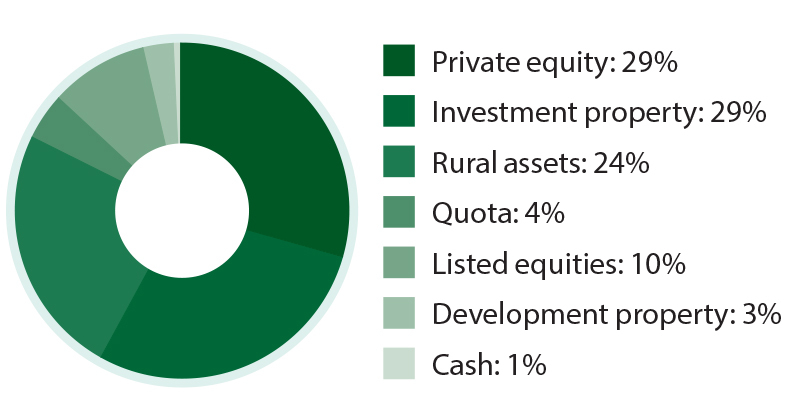 The farming portfolio is capital intensive and the focus ahead will be on increasing the operating and cash performance of the existing farms, along with exploring options for the development of Balmoral. Ngāi Tahu Forestry has had a strong year underpinned by carbon credits. The forestry team has been brought inhouse, which is giving us a visible presence on Te Tai Poutini. from an extended period of delivering projects into pursuing new opportunities. 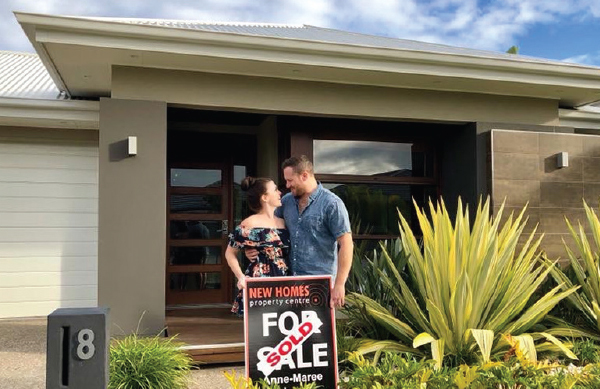 The new Karamū (Riccarton Racecourse) subdivision includes shared equity housing for whānau and the developments in Hobsonville include affordable housing programmes. In a time of review that includes the decision to exit from the mussel market, Ngāi Tahu Seafood has managed to net its best result ever in the history of the company due to the value of its kōura market in China. Reliance on one species is a risk; therefore, we need to develop an innovative approach to getting added value from other quota species. It has been a strong and busy year for Ngāi Tahu Tourism with two key developments being the Earth & Sky project at Takapō with the support of the three local Papatipu Rūnanga; and the new All Blacks Experience at SkyCity in Tāmaki Makaurau in partnership with New Zealand Rugby. With projected growth in visitor numbers, we expect growth in our tourism revenue. We will pursue knowledge and ideas that will strengthen and grow Ngāi Tahu and our community. We will work actively to protect the people, environment, knowledge, culture, language and resources important to Ngāi Tahu for future generations. We will strive to ensure that the tikanga of Ngāi Tahu is actioned and acknowledged in all of our outcomes. Ngāi Tahu culture and traditions help to define who we are and where we come from as a people. Our whakapapa, language, tikanga, ways of life and relationship with the land and sea are the building blocks of our identity as Ngāi Tahu. As the demand for language learning opportunities continues to grow among whānau so too does the number of wānanga and events organised and supported by our KMK team throughout the takiwā. 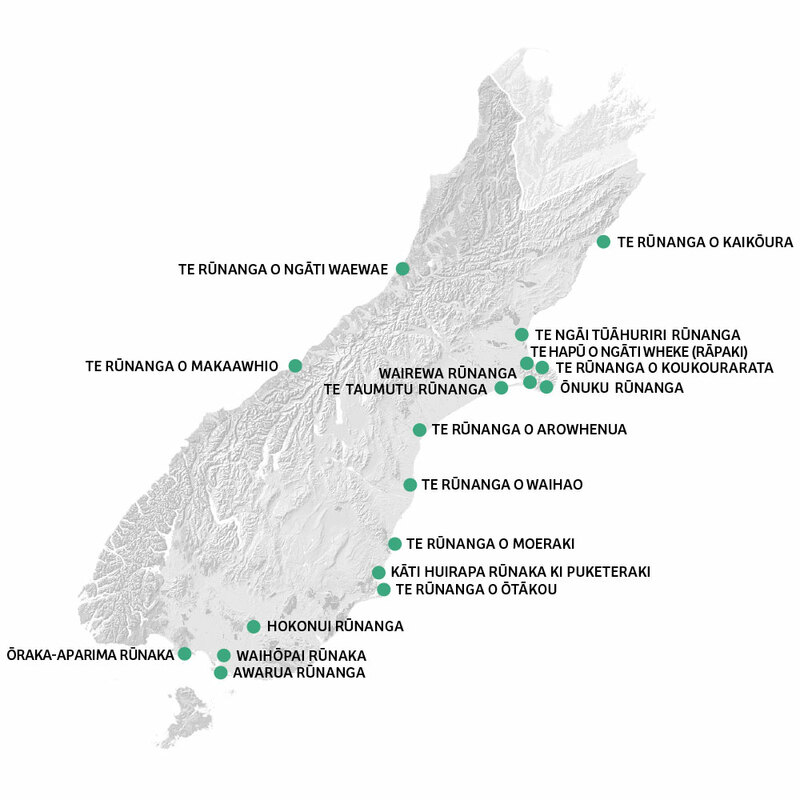 We now have 11 active Kāika Reo funded clusters including two Puna Reo. 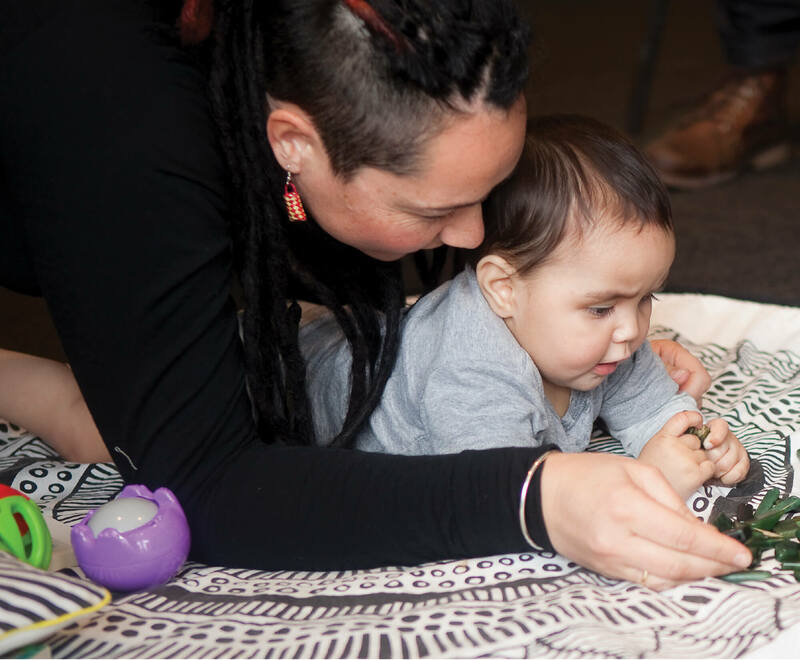 Earlier this year we received funding and support from Kotahi Mano Kāika (KMK) to start up a rōpū to engage whānau in learning te reo Māori and normalising te reo in our community and from this the Te Puna Kuru Pounamu cluster was born. To do this well has taken time and effort, but we are fortunate to have a committee of like minded friends and together we plan the activities and outings. With the continued support of KMK we have been able to run a variety of whānau gatherings and our rōpū is going from strength to strength. Ngā mihi ki a koutou Kotahi Mano Kāika. Te Puna Kuru Pounamu, Ōtepoti. 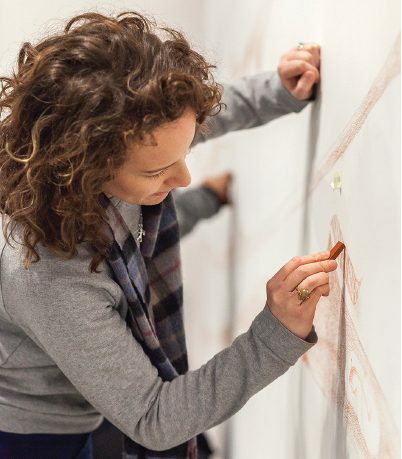 In the last funding year, the Ngāi Tahu Fund proudly supported Paemanu: Ngāi Tahu Contemporary Visual Arts group with their recent exhibition, Nohoaka Toi – Ngāi Tahu Artists in Residence at the Centre of Contemporary Arts in Christchurch. This exhibition featured works from a number of distinguished and upcoming Ngāi Tahu artists, and was a celebration of Ngāi Tahutanga through contemporary visual mahi toi. In a bid to simplify the registration process with Ngāi Tahu Whakapapa we have introduced an online option. The team has been surprised by the response with 17% of whānau choosing the online option over a two-month period. Ngāi Tahu tīpuna often travelled between their inland and peninsula settlements, and during this journey they used the area where Tower Junction now sits as a rest stop. Just behind the site a stream once flowed into a major waterway which made it rich with native fish and bird life. While the travelling party were resting here they would catch pūtakitaki (the native paradise ducks) and tuna (eels). Once they were fed and feeling revived they would continue on with their journey. In November 2017 the Ngāi Tahu Archives team launched Kā Huru Manu – a digital atlas of over 1,000 traditional Māori place names in Te Waipounamu and their associated histories. 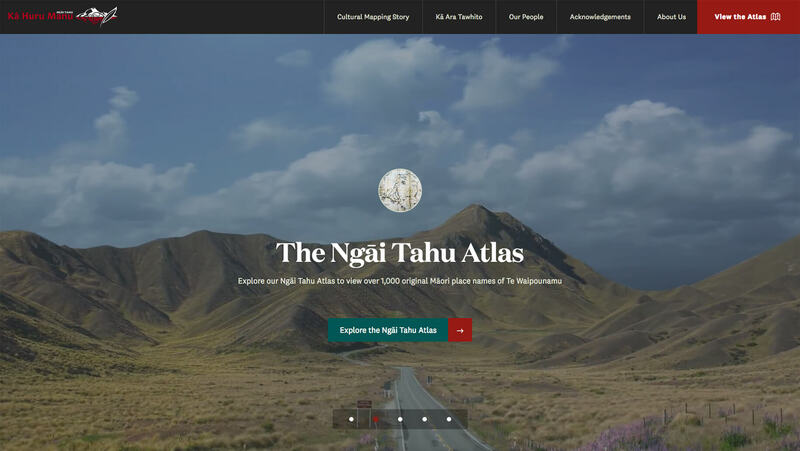 The website represents a small portion of the broader data set that has been collected and mapped as part of the Ngāi Tahu Cultural Mapping Project over more than 10 years. Kā Huru Manu allows us to make this traditional knowledge accessible to our whānau and the wider public. Kā Huru Manu was recently announced as a finalist in the NZ Institute of Designers, Best Design Awards. Since launching 16,500 people have used the atlas and 60,000 have viewed the website. 500 copies distributed to high schools via the Books in School Libraries programme run by Bridget Williams Books. The Melbourne Road Show was fun and exciting. It was really lovely to watch the kids braid some leather and choose their own pounamu piece for a necklace while listening to the story of Poutini and Waitaiki. That will definitely be an experience they won’t ever forget. The biggest highlight of the weekend was a watery eye moment upon finding an aunty of mine who hadn’t seen me since 1983. It was so special to see our people happily engaged in connecting and learning. 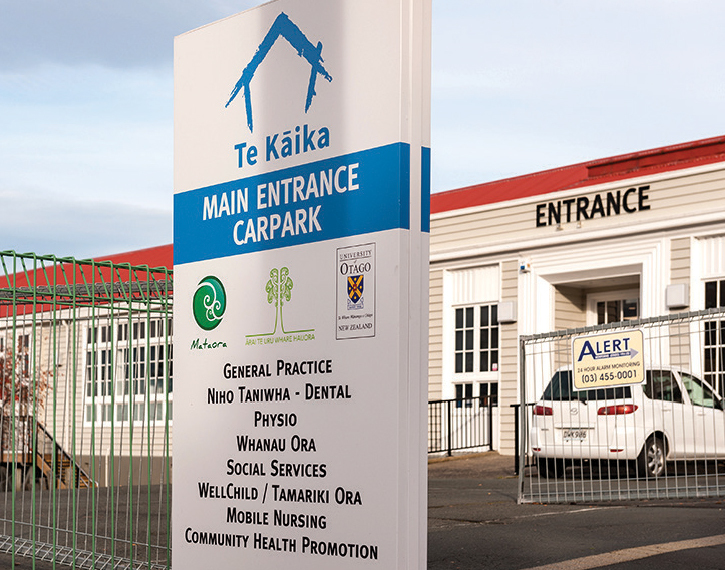 Earlier this year, Te Kāika opened as a state-of-the-art health hub offering affordable health care for low-income residents of South Dunedin. It employs three doctors, four nurses, and a dental clinic staffed by final-year dentistry students from the University of Otago, and also offers physiotherapy, rehabilitation, and social services; along with a gymnasium and teaching spaces. Te Kāika was established by Ōtākou Hauora Ltd which has as its partners: Arai Te Uru Whare Hauora, the University of Otago and Te Rūnanga o Ōtākou. As part of our commitment to supporting regional development we have provided funding of over $700,000 as well as providing technical and project management support for the refurbishment of its premises – the old College Street school which has recently also become the office of our Dunedin based kaimahi. Within months of opening Te Kāika has more than 2,000 patients on its books. 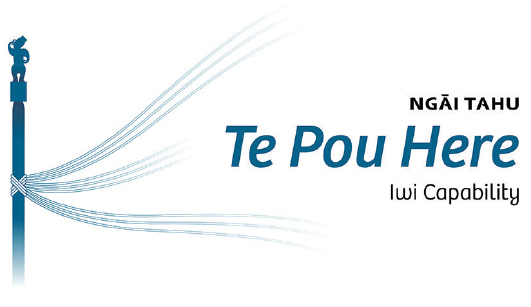 Te Pou Here is all about connecting and belonging as Ngāi Tahu. It is a central online portal where whānau can connect, network and get information about professional and cultural development and employment and business opportunities across the Ngāi Tahu businesses owned at a tribal level. Registration is continuing to grow with over 500 whānau signed up and showcasing their skills, talents and/or business. We are committed to looking after our staff and paying them fairly, which is why Ngāi Tahu Tourism has now increased its minimum wage to be in line with the living wage. The increase in wages came into effect from 1 July 2018. This is a large but sustainable investment that will make a difference to the team. Ngāi Tahu Seafood and Watson & Son are also in the process of increasing their wages and then all wholly-owned Ngāi Tahu Holdings businesses will provide remuneration in line with the living wage. 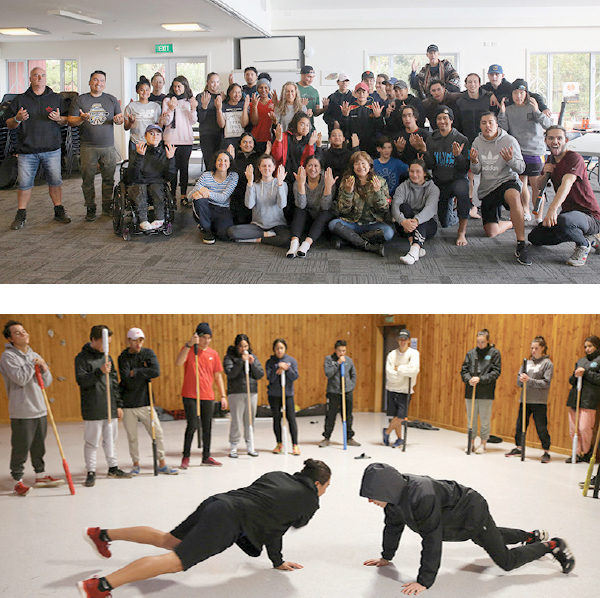 Over 100 people attended two hauora summits held in May – the first at Tuahiwi and the second at Murihiku Marae, Waihōpai. The summits were designed to get feedback on the draft Ngāi Tahu hauora strategy that emerged from the initial hui held in 2017. Developing our strategic influence in ways that create system change for whānau coupled with strong advocacy were dominant themes at both hui. 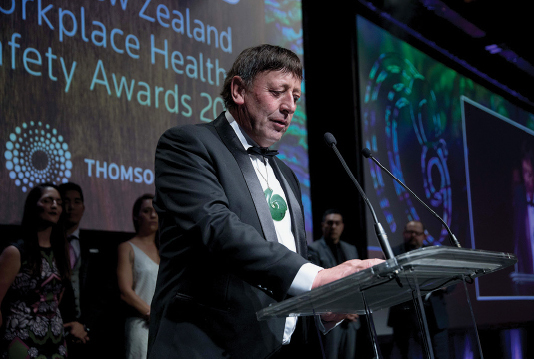 Earlier this year Te Rūnanga gained national recognition for its leadership and commitment to ensuring our organisational responsibility with regards to health and safety, by receiving the Simpson and Grierson best board level engagement in health and safety award at the New Zealand Workplace Health & Safety Awards. Willie Todd’s mum joined her boys up toWhai Rawa when she first heard about the scheme and has contributed to their accounts every year. Joining in 2006 Willie and his brother have managed to accumulate a decent balance thanks to Distributions and Matched Savings every year adding to their growing accounts. Willie has now settled in Australia and was pleased to hear that he could withdraw his funds to help buy his first whare and keep contributing even though he wasn’t in New Zealand. 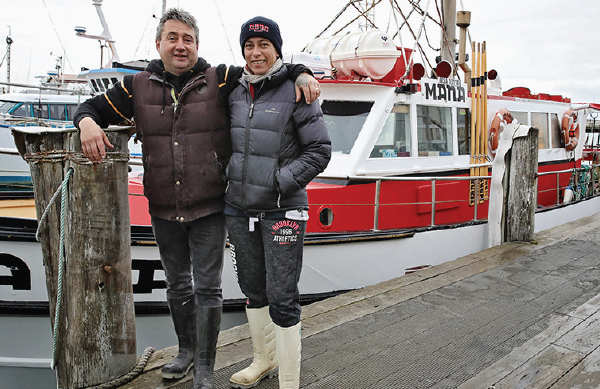 Ngāi Tahu Seafood has partnered with Ngāi Tahu whānau owned business Waikawa Fishing Company, in a scampi fishery that in just five years has gone from minimal value to generating 50 percent of its business income. Steve and Geoff Connor set up the business some 40 years ago, nowadays it is a multimillion dollar business employing 30 staff – many of them whānau members. Part of their scampi catch is packed and sold under their own Connors Catch brand, and the rest sold under the Tahu brand. They also catch kōura quota on behalf of the iwi. In January Waikawa also received Mazzetta Scholarship funding of $7,540 to support one of its employees with the completion of their NZ Certificate in Marine Engineering Class 5. 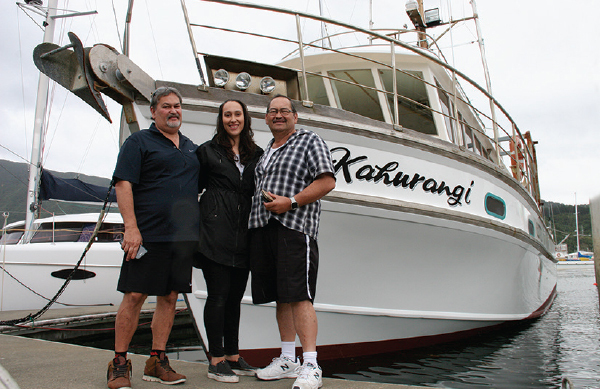 The Mazzetta Company Scholarship Fund awards funding to assist the education of Māori in fishing, with an emphasis on commercial fishing and processing. Meet Shane and Miriona Bryan from Bluff. Their journey with Puna Pakihi started in December 2016; their aspiration being the purchase of the MANA to create a sustainable business for themselves, their son and whānau, by doing what they love – hosting people on the sea. Through Puna Pakihi, they were paired with mentors, a financial advisor and legal advice to develop their business plan and to get them bank ready. In 2017, the purchase was made and the new look MANA Charters began. This year they participated in Takiwā Tourism – a kaupapa to support Ngāi Tahu whānui to develop a cultural tour product and to get them into the open market for bookings. MANA Charters now offers a cultural tour in addition to fishing and harbour tours. Their calendar is full – a true sign of success. Following on from the success of the Pēpi Pack initiative we have recently launched the School Starter Pack for all those tamariki turning five and starting their education journey. The backpack and its contents are designed to keep tamariki connected to their iwi and lay the foundation for positive learning journeys. 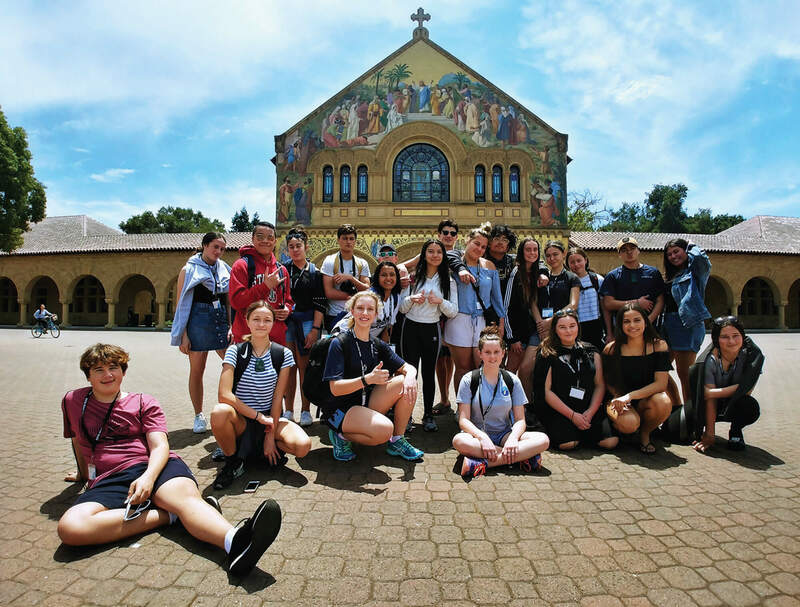 Over the past year 42 rangatahi have journeyed to Silicon Valley to attend the STEM boot camp, bringing the total to 50 since the initiative began. The purpose of the haerenga is to provide rangatahi with the opportunity to explore and gain insight into where the future is heading in terms of career options by drawing inspiration from world-leading companies and universities. Among the key learnings are: leadership, problem solving and time management. When they return we encourage these rangatahi to become an active part of the Te Pōkai Ao online community and continue to engage in kaupapa that promote STEM opportunities and future career pathways for them and their peers. These rangatahi are the potential tribal leaders of the future. Tokona Te Raki is our recently developed social innovation hub, established in partnership with the Peter McKenzie Project (part of the JR McKenzie Trust, a philanthropic organisation that has committed almost $1.4m to the project over the next five years) to assist with achieving our goal of equity in education, employment and income for all Māori in our takiwā by 2040. The hub will focus on using collaboration and innovation to drive systemic change and create the transformational pathways that will lead to our Māori potential being realised. Tokona Te Raki has evolved from Te Tapaue o Rehua. We have a commitment to growing and developing whānau so they are culturally competent, connected to their community and outstanding performers in their chosen field. Key to this is creating opportunities, scholarships, and programmes that will encourage more Ngāi Tahu to work within our businesses at all levels. Manawa Nui and Matakahi are just two of the opportunities on offer. Manawa Nui was established to provide opportunities for whānau to gain and enhance their commercial governance experience with a view to becoming candidates for future board positions, both within the Ngāi Tahu Holdings Group and externally. The programme runs on a two-year cycle and includes workshops and governance scholarships for five associate governor positions with exposure to each of the subsidiary boards as well as the Ngāi Tahu Holdings Group Board. 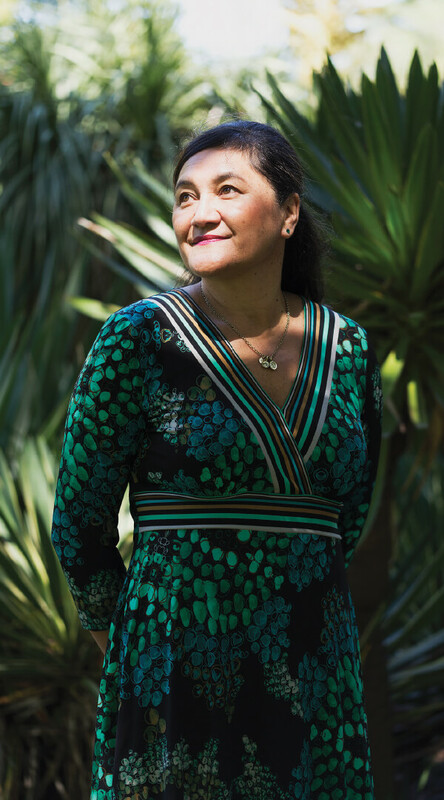 Nadine Tunley (Ngāi Tahu – Ngāti Wheke, Ngāti Waewae) was one of the inaugural Manawa Nui candidates. 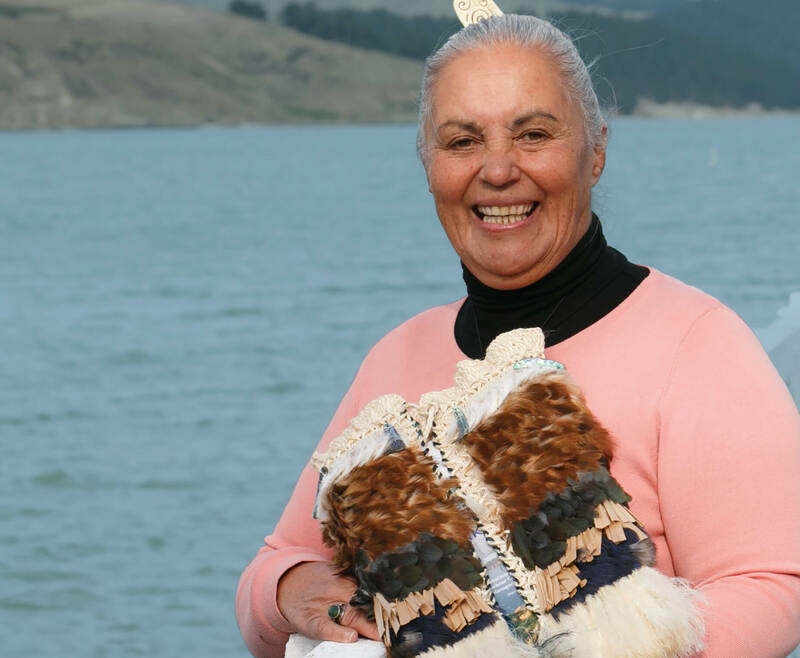 She was initially an associate governor on the Ngāi Tahu Holdings Board, followed by a year with Ngāi Tahu Seafood, an experience she valued as an opportunity to strengthen her connection to the iwi and to use her skills and knowledge for the betterment of whānau. In May 2017 Nadine was appointed CEO of Watson & Son. Our Matakahi Scholarships were established to support tertiary students going into their second year of study at a tertiary institution. Available for up to three years, the scholarships not only provide funding but also paid work placements within our commercial businesses and partners and support for recipients to strengthen their connection with the iwi. “The Matakahi Scholarship has changed my life, both professionally and personally. Grace Dimond (Ngāi Tahu – Ngāi Tūāhuriri, Arowhenua, Puketeraki, Waihōpai, Moeraki, Taumutu, Awarua) is currently taking a year off from her university degree to study te reo full-time. She will complete a double major in commerce and law in 2019. Grace is a tuakana supporting Matakahi recipients. 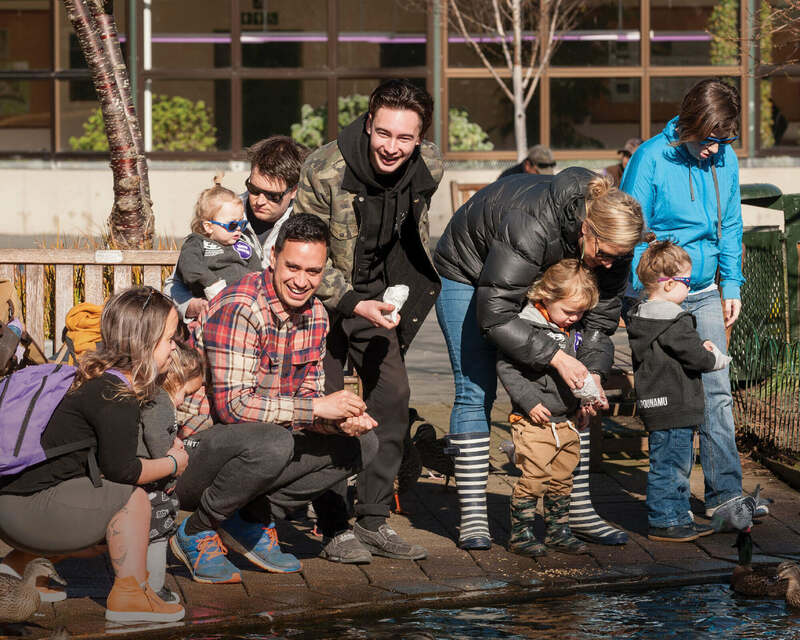 During the year the Whaka-Ora Healthy Harbour plan was launched for Whakaraupō/Lyttelton Harbour. This catchment management plan was jointly written and launched by Te Hapū o Ngāti Wheke, Lyttelton Port Company, Christchurch City Council, Environment Canterbury, and Te Rūnanga o Ngāi Tahu; with Ngāti Wheke taking the lead and the Te Ao Tūroa team providing technical and plan writing support. The plan sets out how the whole harbour – ki uta ki tai – will be managed over the next 20 years to improve the ecological and cultural health of the harbour and its mahinga kai values. The plan has been strongly embedded in Ngāi Tahu values and the aspirations of Ngāti Wheke and the wider community, and culminated with Rāpaki whānau weaving a korowai representing the key aspects of the plan. This korowai is being passed between the partner organisations as a mauri, reminding them of their obligations and commitments to Whakaraupō/Lyttelton Harbour and Whaka-ora Health Harbour. This year the Lyttelton Port Company was granted resource consents to dredge in Whakaraupō/Lyttelton Harbour to widen, deepen and lengthen the existing shipping channel and to dump the dredged spoils at sea. Staff from Te Ao Tūroa, Mahaanui Kurataiao Ltd and Ngāi Tahu Seafood worked alongside Te Hapū o Ngāti Wheke and Te Rūnanga o Koukourarata to appeal some of the conditions of the resource consents to the Environment Court. Through mediation we secured the most comprehensive set of environmental monitoring conditions for any dredging activity in New Zealand. In addition, we also negotiated the relinquishing of conditions on an existing channel maintenance resource consent that will result in a significant reduction in the amount of dredge spoil to be dumped within the harbour during future maintenance dredging campaigns. For decades, Waipapa Bay Campground occupied part of the Waipapa Point tribal property (Waipapa Point Scenic Reserve, Kaikōura). This property which was returned via the Ngāi Tahu Settlement, has huge cultural significance to Ngāti Kurī and the iwi as “the Ngāi Tahu gateway to Te Waipounamu”. The campground was closed in 2017 due to unacceptable landslide risk stemming from the 2016 Kaikōura/Hurunui earthquakes. 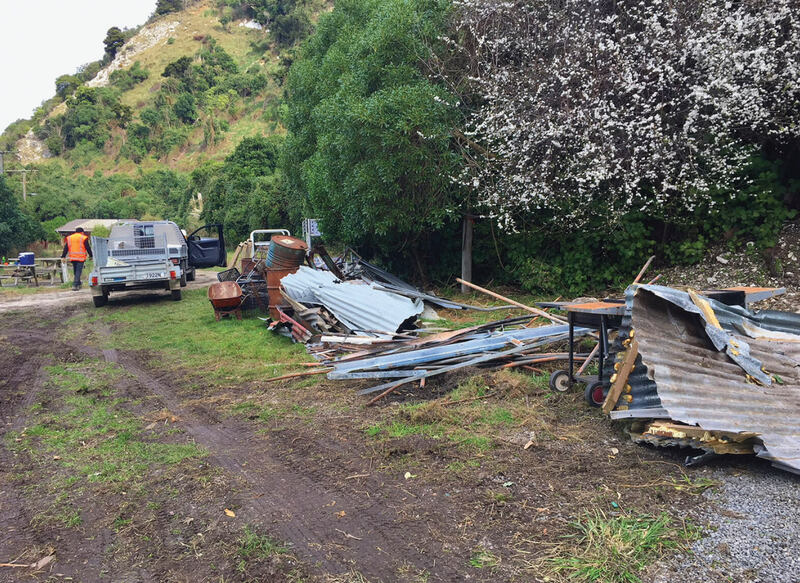 Extensive work has been undertaken this year to clear the campsite of privately owned caravans and semi-permanent structures, and work is now planned with Te Rūnanga o Kaikōura to determine future use of this significant site. Notwithstanding our kaitiakitanga Te Ao Tūroa responsibilities, we continue to address Department of Conservation Co-Management Agreements. Ngāi Tahu continues to work actively with Te Papa Atawhai/DOC to exercise rangatiratanga over the conservation estates and resources throughout Te Waipounamu. Our co-governance and co-management mahi includes: Te Waihora Joint Management Plan review, Kātiki Historic Reserve under the Reserves Act 1977, the review of the conservation protocols contained in the Ngāi Tahu Deed of Settlement 1997 and preparation of National Park Management Plans, including Westland/Tai Poutini and Aoraki. * Note: This excludes emissions associated with Papatipu Rūnanga. Recently Te Ao Tūroa with the support of Te Rūnanga o Ōtākou hosted the “Kaitiakitanga in Action” wānanga at Ōtākou Marae. Over 40 Ngāi Tahu whānui from around Aotearoa attended, including Ngāi Tahu representatives on species recovery groups and conservation boards, and whānau actively involved in conservation efforts at the flax roots. The kaupapa was to share and learn from the great mahi happening around the takiwā, and identify the Ngāi Tahu priorities for action into the future. A highlight was a field trip to Te Nohoaka o Tukiauau/Sinclair Wetlands. Customary fishing resources, practices and mātauranga are integral parts of Ngāi Tahu culture. Sustaining these is of paramount importance – so it was great to see the Minister of Fisheries approve three freshwater mātaitai reserves in Kaikōura this year over the Ōaro, Kahutara and Tūtaeputaputa (Conway) Rivers. The appointed Mātaitai Tangata Tiaki/Kaitiaki now have the devolved Ministerial powers to develop localised fishing rules to protect and enhance the customary fish stocks within these traditional fishing grounds. Ngāi Tahu Tourism is making a move towards electrification across all of its businesses, including investigating the use of electric-powered vehicles such as shuttle buses and jet boats. They are also working towards installing electric charge stations in car parks at Ngāi Tahu Tourism sites. In the past 18 months we have added three additional monitoring wells at Te Whenua Hou bringing our total to six. Two of the more recent wells in the centre of the development have recorded lower readings relative to the others which accounts for the overall decreased average. New Zealand drinking water standards set the maximum acceptable level for nitrate-nitrogen at 11.3mg/litre. Ngāi Tahu Farming (NTF) has set an ambitious target to plant one million trees at Te Whenua Hou dairy farm development at Eyrewell, north-west of Christchurch, by 2030. 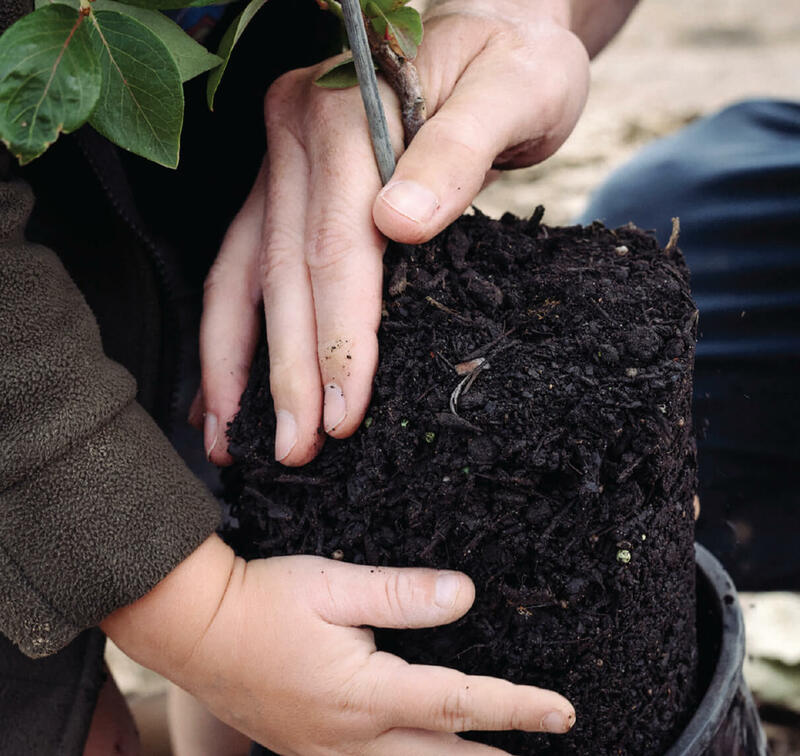 A total of 200,000 trees have now been planted (60,000 per year) as part of its biodiversity plan in partnership with scientists from Lincoln University. The project is unique in its commitment and collaboration between NTF, Lincoln, DOC, Environment Canterbury, iwi and local communities. Despite the challenges resulting from lack of rainfall, poor soil, stock management and weed control, the project has already exceeded its 150ha target by establishing 176ha of native bush at Te Whenua Hou in four years. Another 150ha of amenity plantings around farmhouses, farm buildings and shelter belts effectively doubles the area planted to over 300ha. Papatipu Rūnanga are enabled to enact rangatiratanga to best support their interests. Upholding the mana of people in all we do, empowering ourselves and those around us and leading by example. Pūtea Aumakea (Resilience) Fund – Ngāi Tahu marae have been at the forefront in providing support to their communities affected by natural disasters, such as the Canterbury and Kaikōura earthquakes. With increasing extreme weather events, a new funding stream has been added to the Marae Development Fund. The Marae Development Fund provides funding support to Papatipu Rūnanga with their marae building projects. Pūtea Aumakea is designed to enable sustainable technology and support increased resilience for our marae with an initial focus on the installation of solar panels and generators. A pilot project has been completed at Ngāi Tūāhuriri Marae with the installation of 48 solar panels. 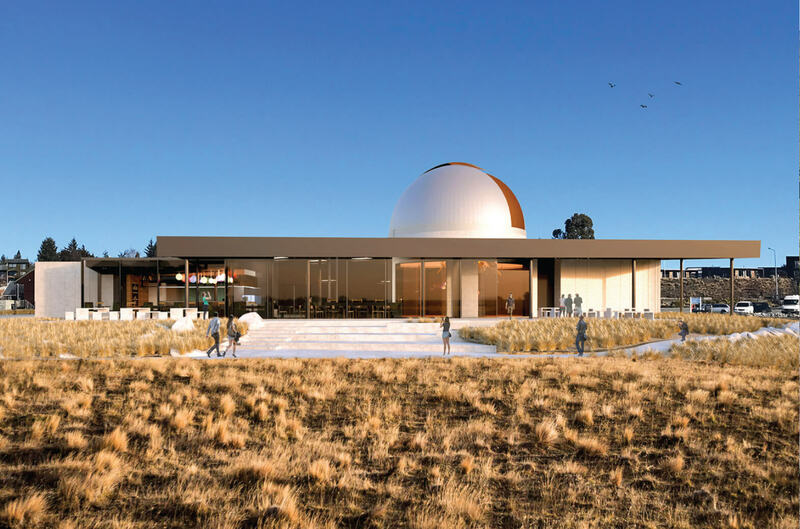 Ngāi Tahu Tourism (NTT) and its joint venture partners Earth & Sky are currently developing a new “international astronomy centre” due to open in 2019. As well as being a base for their existing star gazing tours, it will also be home to a new daytime experience, the restored Brashear Telescope, and a fully serviced café and bar. As part of the new build, Earth & Sky and NTT have established a Takapō Working Party made up of representatives from Arowhenua, Waihao, and Moeraki. The working party has been created to provide cultural guidance and identify opportunities to increase the visibility of mana whenua through the project. They have been working closely with the designers, who are creating the new daytime experience, to help them understand Ngāi Tahu narrative around the night sky so it can be included in the new attraction. They are also working with Earth & Sky and NTT to identify opportunities to showcase Ngāi Tahutanga within the interior design of the new astronomy centre. Giving back is at the heart of Ngāi Tahu Property’s Te Haumi Whakamana initiative, which offers long-term investment opportunities for Papatipu Rūnanga in its Crown Portfolio. The investment amount has recently been increased to $1.5m per rūnanga (previously $500,000). Currently we have 14 Papatipu Rūnanga investors. All 18 Papatipu Rūnanga now have provision for Kaitoko Mātauraka to support their whānau education goals in their communities with four rūnanga managing their own. Intergenerational transfer of the inherited rights and interests of Ngāi Tahu. Upholding the mana of people in all we do, empowering ourselves and those around us and leading by example. 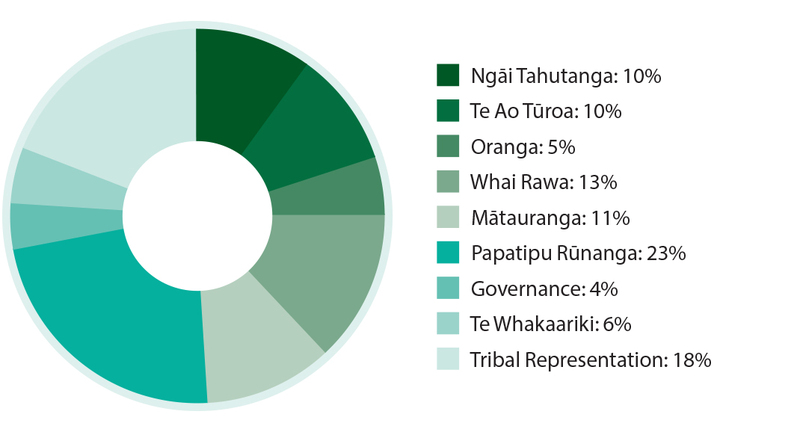 He Rautaki mō te Huringa Āhua o te Rangi – Over the past year we have been working on He Rautaki mō te Huringa Āhua o te Rangi – the Ngāi Tahu Climate Change Strategy to address the complex and varied climate related challenges facing the iwi. Framed around the nine pou and heke of Ngāi Tahu 2025, the strategy is designed to create Ngāi Tahu responses to the risks and opportunities presented by climate change to ensure that iwi, hapū and whānau aspirations can be met in a changing world. Last year Te Rūnanga o Ngāi Tahu received $198.9m from the Crown as a result of the Relativity Mechanism which is a fundamental part of the Ngāi Tahu Claims Settlement Act. Te Rūnanga o Ngāi Tahu has invested this payment with Ngāi Tahu Holdings, who continue to grow our economic base and increase our tribal footprint. Under the Environment Canterbury (Transitional Governance Arrangements) Act 2016 Te Rūnanga o Ngāi Tahu is able to make recommendations for the appointment of two councillors. This current legislation will expire in 2019 when Environment Canterbury (ECan) returns to an elected model. Te Rūnanga is working with ECan to ensure we have permanent representation at the council table and work has commenced on the advancement of a Bill to secure our position. Changes to the Resource Management Act (RMA) came into force in April 2017 that incorporate provisions relating to the establishment of Mana Whakahono ā Rohe agreements (MWARs) – a framework for Papatipu Rūnanga to develop working agreements with their local councils. The changes were developed through direct engagement between iwi and government, with critical support from the Māori Party. While untested it is a huge improvement on previous arrangements which will see Ngāi Tahu whānau in a better position in terms of RMA decision-making. In early 2012 the Riccarton Racecourse Trustees approached the government about possible commercial uses for part of its land to provide income for the management and development of the racecourse. The Christchurch Racecourse Reserve Act, which dates back to 1878, governs the use of the land, owned by the Crown. Any sale of the land is subject to the Right of First Refusal as per the Ngāi Tahu Claims Settlement Act 1998. Kaimahi from the Office of Te Rūnanga and Ngāi Tahu Property worked alongside the Trustees on the proposed rezoning and in June 2016, 40 hectares of the site was rezoned under special legislation enabling up to 600 new homes to be built. Earthworks at Karamū, Riccarton Park began in November 2017, with the first neighbourhood Manakura now nearing completion. Earthworks within Kākāpō, the second neighbourhood, are next in line. 180 of the homes within Karamū will be priced below the Government’s $550,000 KiwiSaver HomeStart cap for Christchurch. 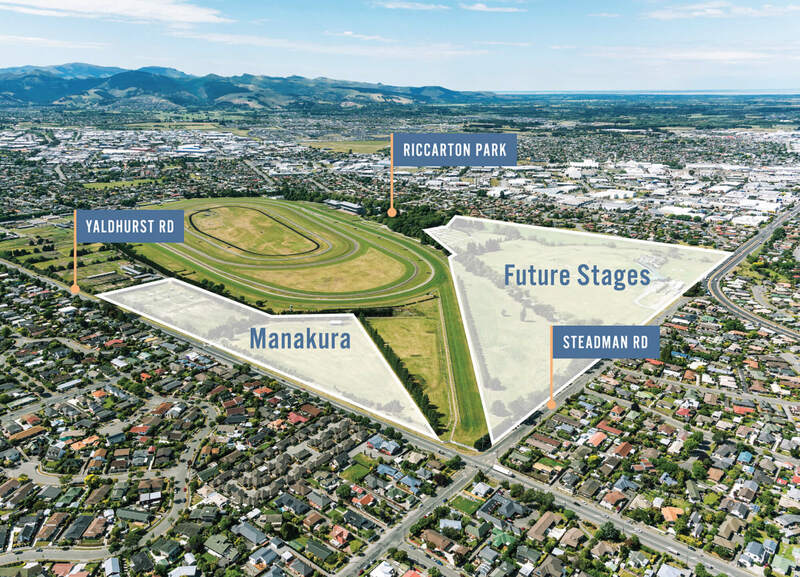 As well as providing new homes to approximately 1,600 people once complete, the project will provide financial returns for Ngāi Tahu and enable the future of racing at Riccarton Racecourse. Creating long-term value. Management of the pūtea is sustainable across generations. Ngāi Tahu Holdings is pleased to report another strong year with a net profit of $150m. 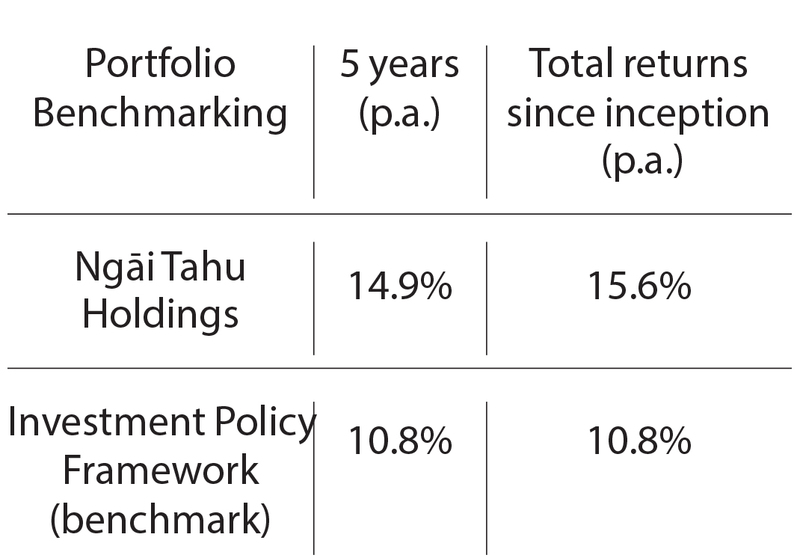 This return enabled a distribution of $61m. 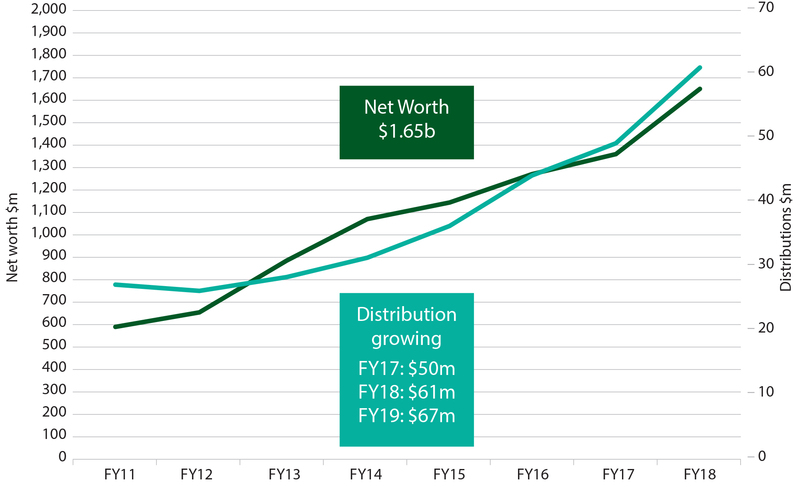 Te Rūnanga Group net worth has increased to $1.65b while long-term net worth targets remain on track. 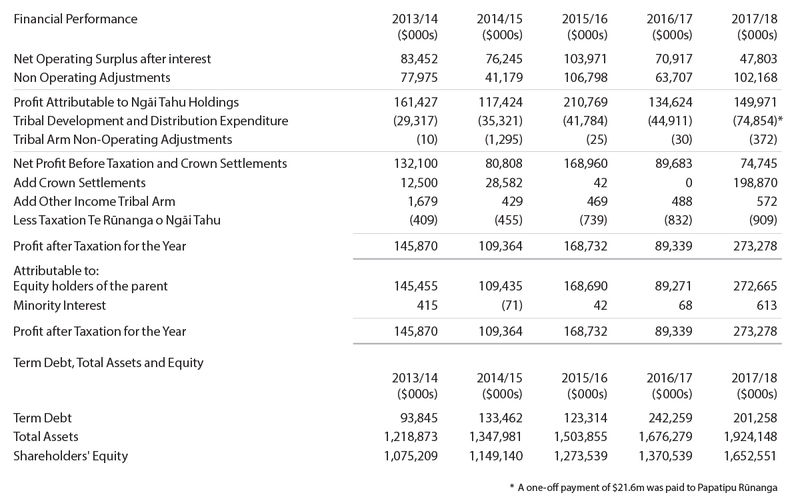 *The above numbers have been extracted from the Ngāi Tahu Holdings Corporation Financial Statements for the year ended 30 June 2018. **Ngāi Tahu Fisheries Settlement Ltd.
Pathfinder is a New Zealand based global equity investment company that shares our ethical and sustainable investment philosophy and values. We look forward to growing this relationship as our exposure to global listed markets increases over time.